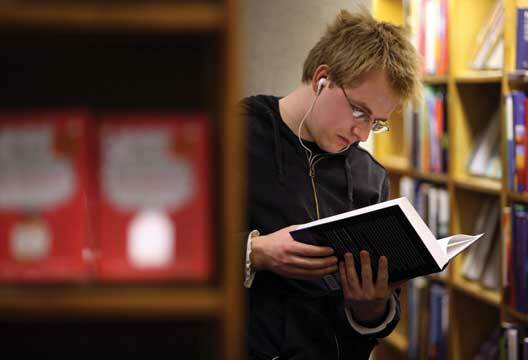 The Psychologist books team surveyed a sample of psychology students to find out what they were reading that might to support their interests and studies. From the responses, we’ve compiled a list of 10 books that new and existing students might enjoy and benefit from reading while studying psychology. The students we surveyed kindly provided a brief statement about why the book they selected was one of their favourites and why they’d recommend it. And below, we also hear from Jenna Gillett in more detail about her choice, Stumbling On Happiness. We’d like to thank all of those who participated in our survey, and welcome any book suggestions for next year’s students. Get involved in the discussion on Twitter @psychmag. Flourish: A New Understanding of Happiness and Well-being – and How to Achieve Them by Martin Seligman continues to build on research in the field of positive psychology, translating theory into practice to describe how to get the best out of life. Our student recommender said: Flourish is currently my favourite, it combines psychology with general life wellbeing /happiness tips. Forty Studies That Changed Psychology by Roger Hock provides summaries of the thinking and theories behind significant psychology research. Our student recommender said: ‘Forty studies that changed psychology is a great read for any student about to start a psychology course or anyone with a passing interest in psychology. Each of the studies is expertly summarised, making them easily digestible over a cup of tea. From Asch to Zimbardo, Hock has selected key research by many of psychology’s “big hitters”. Easy reading and thoroughly recommended. ‘Psychology has created problems where once there were none by exposing the flaws in our intuitive understandings of ourselves’ (Ch 3, pp.69). In this 2006 book, Gilbert perfectly outlines one of the core properties central to psychology as a discipline; a lot of the time what we think is right, logical and probable is actually not! Often we fail to fully understand ourselves – be it our imaginations, motivations, emotions, memories or behaviours. Psychology aims to understand the complexity and interactions of these phenomena and how they cause us to think how we think and do what we do. Stumbling on Happiness is an excellent book for any undergraduate embarking on a psychology course. The book highlights a dynamic array of interesting studies drawing on the bounds of human perception, memory, cognition, social dynamics, health psychology, biological psychology… the list goes on! All the literature mentioned is superb supplemental material to any first-year psychology course content and will help put theories into everyday, relatable examples for better understanding and captivating reading. We live in a world where everyone’s number one goal is ‘to be happy’ but, as Gilbert demonstrates, we are somewhat useless at predicting what makes us happy in comparison to what actually makes us happy. What we perceive as ‘happiness’ is dependent on so many factors we often fail to recognise ‘happiness’ when it is happening; only in retrospect do we properly ascertain it. This book really gets you thinking and wanting to find out more – a highly recommended read for anyone who is interested in ‘real life’ psychology with some fundamental lessons that are beneficial to any undergraduate student. Look out for 'The Psychologist Guide to University Life' with the October edition!